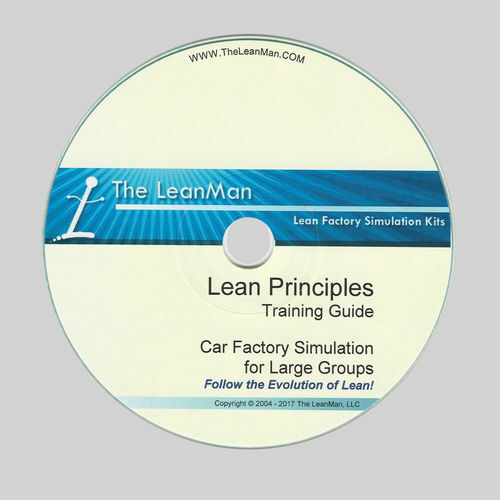 The Large Group Simulation is an add-on product 4-step simulation designed to train large, but variable sized, groups of participants in the four main flow methods. 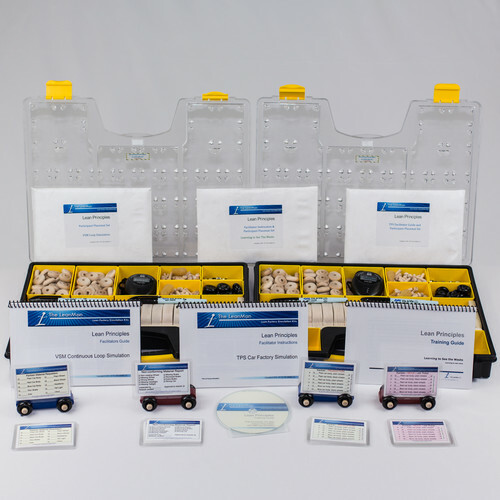 The Evolution of Lean presentation (available only with the Deluxe, Deluxe-Plus or Grand products) begins the event and a few additional presentation materials, such as Learning to See the Waste, are recommended but require additional time. 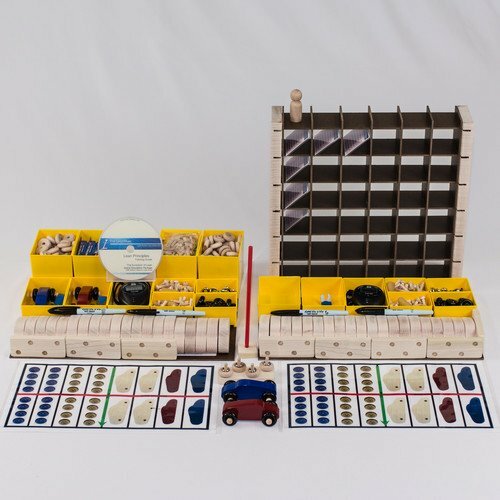 The team set up is variable between 5 and 13 people each with hands-on participation for each Car Factory Kit used. 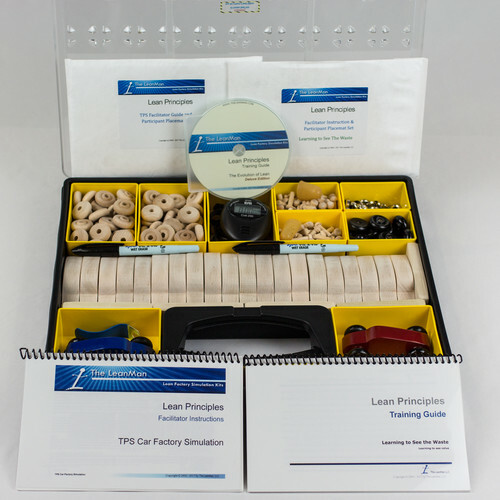 The 84-page facilitator guide allows up to three Car Factory Kits to be run simultaneously for a maximum of 39 participants with hands-on time accommodated. A single facilitator can easily control the teams, provided the participant placemats located on the CD are printed and distributed. The simulation includes a printed and bound color 84-page facilitator guide which provides lists of things to observe and point out to the people, comments to add for clarity, and suggestions for improvement. 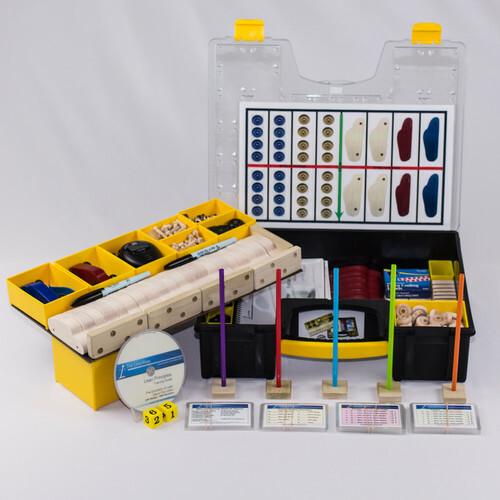 Requires one Deluxe Kit minimum, and can support up to two additional Companion Kits, or one Deluxe- Plus Package and one Companion Kit. Event time 2.5 hours plus additional presentation time, if any. Room size should be large training room or conference center. 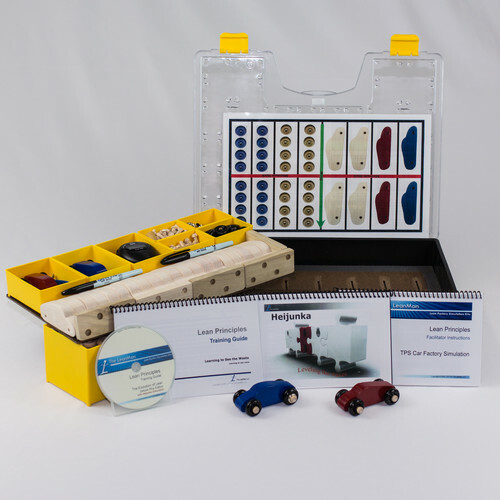 Materials include the color printed and bound Facilitator Guide, two 450 pc dispenser packs of detail components, and all supporting files on CD. 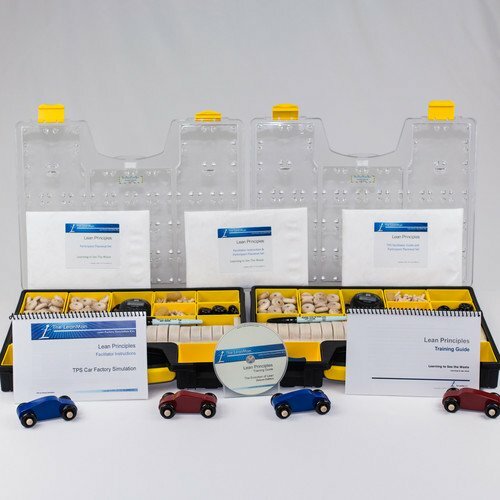 Please Note: The Deluxe-Plus VSM and the Grand Simulation Package each contain two of the Car Factory Kits and therefore count as two of the three possible kits used with this simulation.